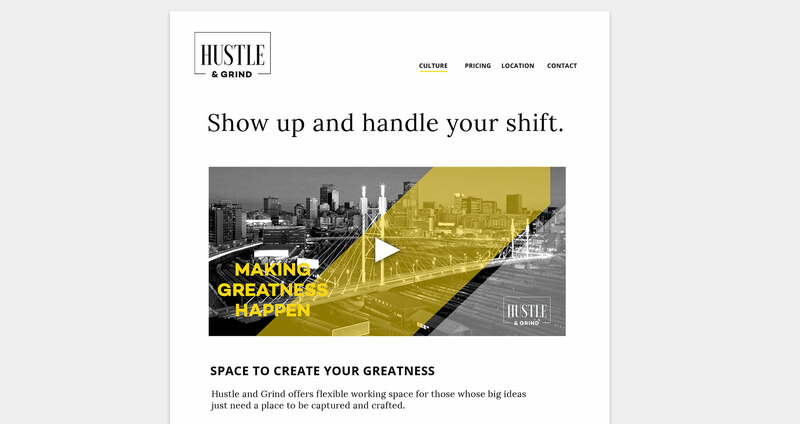 Teaming up with a couple of entrepreneurs who discovered a great space in the bustling Maboneng district Johannesburg Central, Hustle & Grind was born. It is to be a co-working space that offers more than just a desk but a network of like minded entrepeneurs based on the New York proverbs around hustling. This venture required branding, interior design as well as an online presence. The solution was the creation of an old school New York Times brand with a fresh twist of diversity and creativity. Creating an online platform for networking and a comfortable space for working and for interacting with like-minded people.